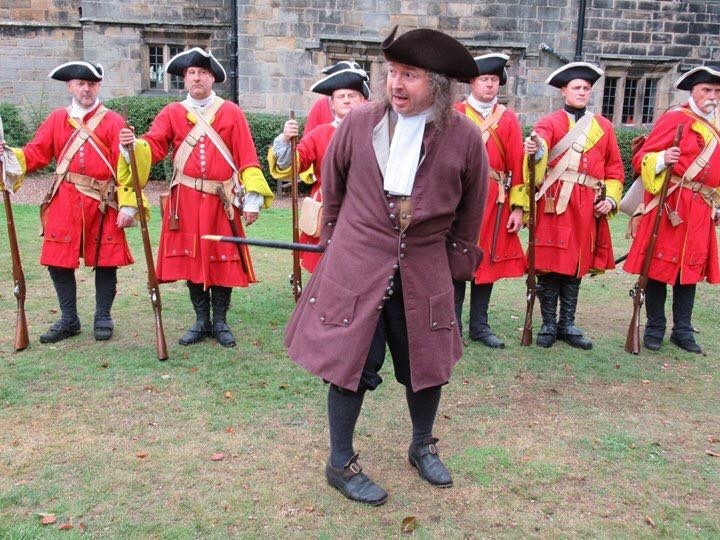 A couple of weekends ago I played the part of a petty constable from the parish of Birstall at a Queen’s Regiment event at Oakwell Hall. The year was 1715 and the Tory rebels and Jacobites were threatening to cause turmoil in the kingdom. Thus it was that my constable found himself having to find lodging and victuals for the company of soldiers ordered to assist in the keeping of the peace in the parish. Here he has found a suitable alehouse for several soldiers, and they sit patiently awaiting some ale to quench their thirst. 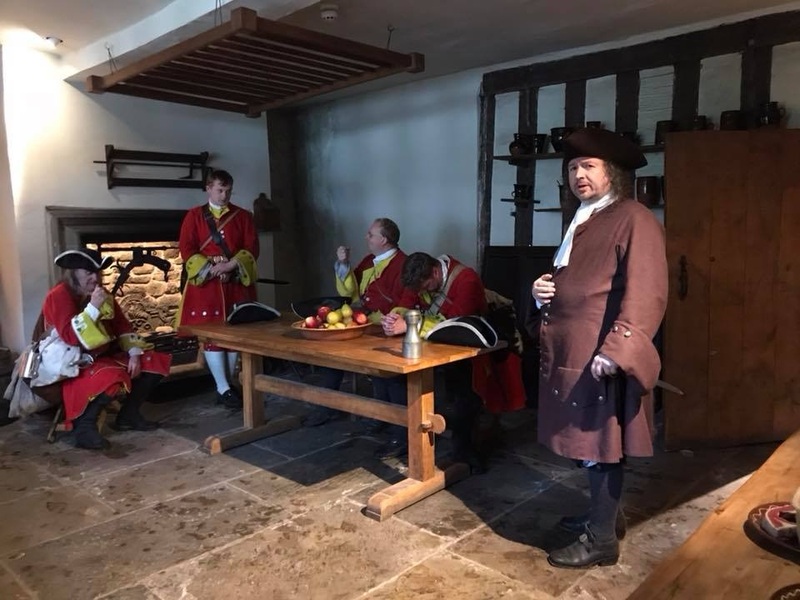 Of course it is one of a constable’s duties to keep His Majesties Peace and so I found myself delivering some advice to the visitors concerning their behaviour, warning them about the consequences should I be forced to read the brand new ‘Riot Act’. 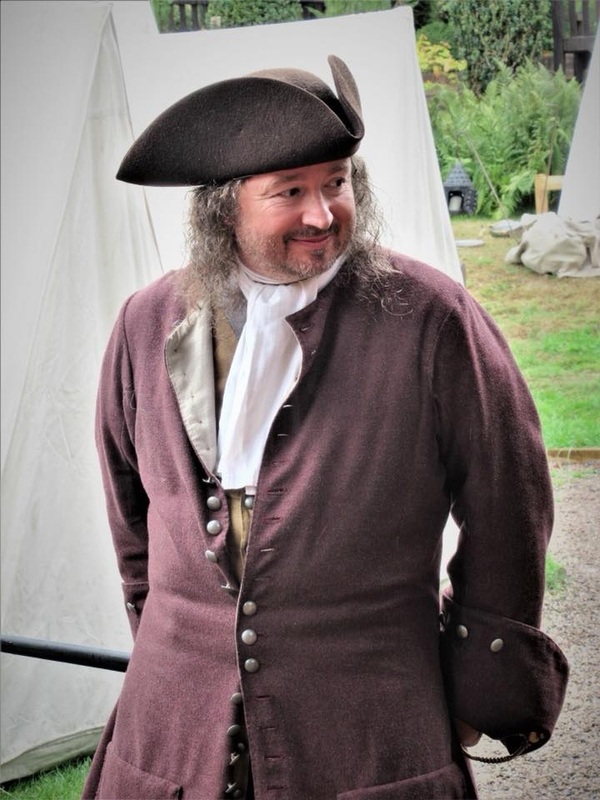 I like to think that I acquitted myself well, despite the fact that I was wearing the hat, shoes and coat of my 1720 pirate character, Captain Burwash! If you want to know more about Captain Burwash, please click here. And if you want him to visit your school, please get in touch. To see which of my other historical characters you might want to visit, please take a look at my page of Characters. I look forward to hearing from you.